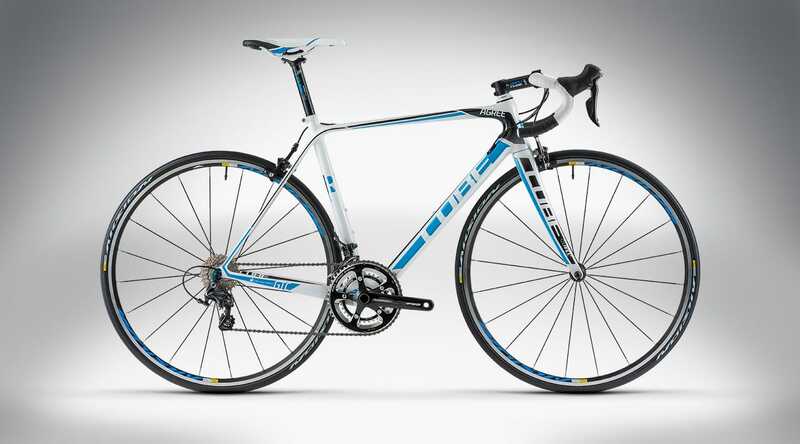 The super lightweight carbon fibre frame comes with internal cable routing and ready to race Ultegra components. 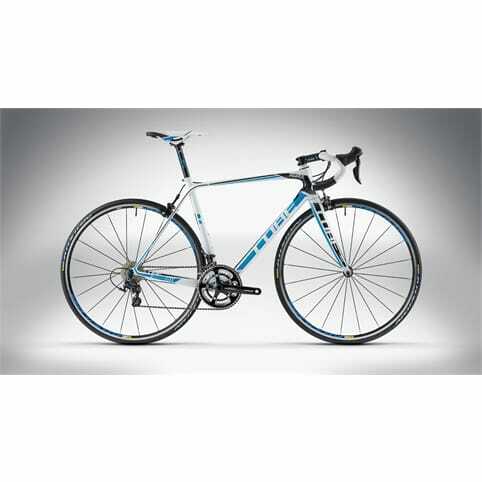 The Gran Tourismo Modular Monocoque Carbon Fibre Frame features full carbon bearing housings and all details are focussed on weight and stiffness. Hybrid Cable Routing gives a clean look and great functionality. Mechanical or electronic transmission components can be mounted without compromises. 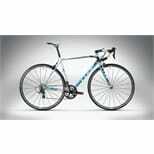 The tapered fork steerer delivers optimum stiffness and a better distribution of forces. The RFR geometry with relaxed and comfortable riding position makes riding out of the saddle easy and gives agile handling. Oversized carbon tubes for the main frame and chainstays deliver maximum stiffness and the best strength to weight ratio. The thin seat stays and a flat top tube give flex for comfort. The Mavic Aksium S wheels are lightweight and aerodynamic. 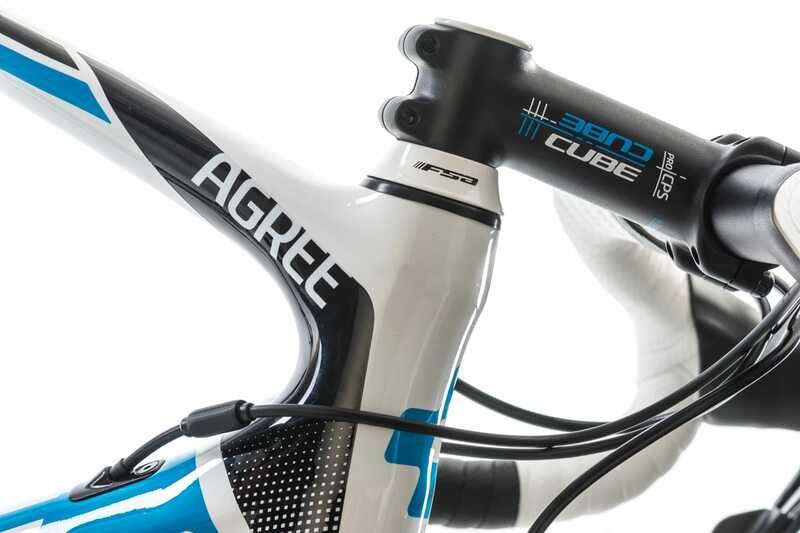 The CUBE Wing Race bar is light, with a wing shape for a comfortable hand position and optimum ergonomics. 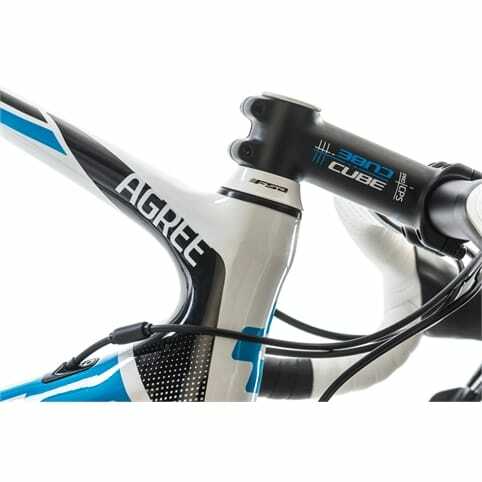 It combines neatly with the CUBE Performance Pro stem.